After the Col de Plainpalais, a long downhill stretch will take you into the heart of the Parc Naturel des Bauges, and will leave via the impressive Pont de l'Abîme. Can be started from Chambéry. The ascent of this beautiful circuit is well-known to cross-country ski lovers, because it is the way to the Plateau de La Féclaz, one of the biggest Nordic ski areas in France. 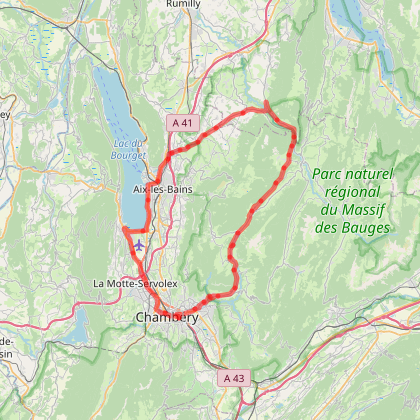 Can be started from Chambéry.